﻿ Hastelloy C22 Refactory Anchors, Alloy C22 Refactory Anchors Exporter. 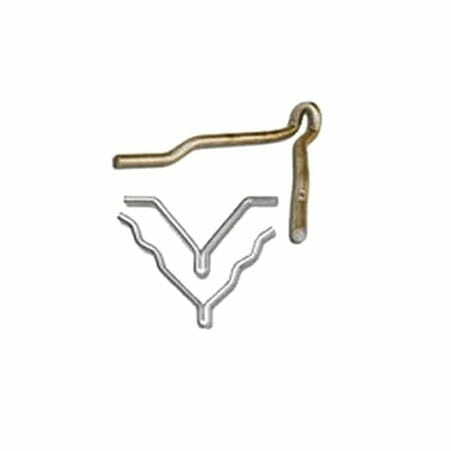 Hastelloy C22 WV Anchors Supplier, Alloy C22 Corrugated Anchors Exporter, Hastelloy C22 UV Anchors Supplier In Worldwide. We, at Amco Metals, invent sustainable, economic and customized products through continuous efforts and quality control. We service our customers a decent portfolio of durable products built over the span of 25 years. We provide complete guidance and assist our clients in choosing a suitable product for their industry. We are an ISO 9001: 2015 certified company, dedicatedly building and maintaining customer oriented engagements. We are a manufacturer, trader, stockist, supplier, and exporter of Hastelloy C22 Refractory Anchors. A Refractory Anchor is a metal piece, formed in a particular shape, are used to hold an installed refractory product to the shell of the article being lined, usually a brick or a ceramic fibre lining. 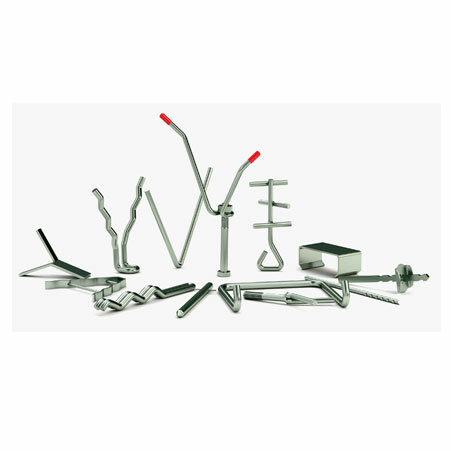 Our WNR 2.4602 Hastelloy C22 Y-type Refractory Anchors that are used to carry prefabricated panels, panels that are assembled at the factory and then transported to the site of construction. We supply UNS N06022 Hastelloy C22 V-Refractory Anchors that curb intergranular attack and reinforce light concrete refractories. 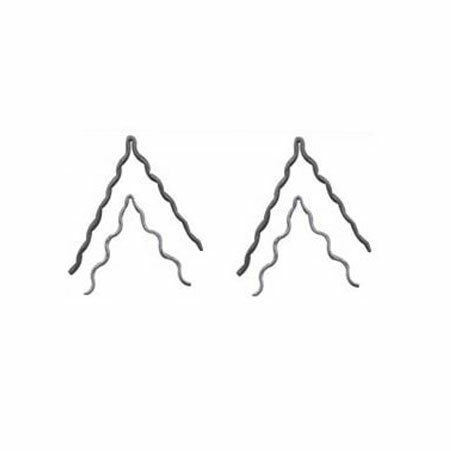 Alloy C22 Refactory Anchors Exporter, Hastelloy C22 Refactory Anchors Supplier, Alloy C22 V Anchors, Hastelloy C22 Y Anchors Supplier In India. Puerto Rico, Switzerland, Norway, Hong Kong, Denmark, Yemen, Nigeria, Bulgaria, Qatar, Israel, Malaysia, Czech Republic, Costa Rica, Turkey, Vietnam, Germany, Kenya, New Zealand, Philippines, Hungary, Bahrain, Thailand, Croatia, Singapore, Iran, Netherlands, Trinidad & Tobago,Tunisia, Mexico, Namibia, Estonia, Slovakia, Mexico, Iran, Finland, Serbia, Algeria, South Africa, Belgium, Azerbaijan, United Arab Emirates, Ghana, Tibet, Libya, Zimbabwe, Austria, Belarus, Mongolia, Chile, Romania, Bolivia, India, Canada, Greece, Jordan, Poland, Poland, Ireland, Sweden, Gabon, China, Lithuania, Spain, Oman, Argentina, Indonesia, Lebanon, Angola, United States, Australia, Nepal, Kuwait, Japan, Bhutan, United Kingdom, Iraq, Ukraine, Nigeria, France, Gambia, Russia, South Korea, Bangladesh, Peru, Chile, Pakistan, Saudi Arabia, Egypt, Venezuela, Morocco, Sri Lanka, Taiwan, Afghanistan, Brazil, Kazakhstan, Ecuador, Italy, Portugal, Colombia, Macau. Vadodara, Coimbatore, Granada, Kanpur, Ho Chi Minh City, Karachi, Al Jubail, Atyrau, Sydney, Hong Kong, Surat, Ahvaz, Nashik, London, Ulsan, Jeddah, La Victoria, New Delhi, Jamshedpur, Howrah, New York, Montreal, Edmonton, Faridabad, Madrid, Pune, Chandigarh, Rio de Janeiro, Hyderabad, Hanoi, Dubai, Doha, Bhopal, Visakhapatnam, Kuwait City, Algiers, Calgary, Kolkata, Riyadh, Kuala Lumpur, Sharjah, Baroda, Vung Tau, Ahmedabad, Melbourne, Thiruvananthapuram, Cairo, Muscat, Caracas, Pimpri-Chinchwad, Al Khobar, Istanbul, Indore, Ernakulam, Haryana, Moscow, Chiyoda, Gimhae-si, Houston, Milan, Tehran, Thane, Chennai, Gurgaon, Nagpur, Aberdeen, Courbevoie, Brisbane, Geoje-si, Bogota, Jakarta, Rajkot, Ankara, Secunderabad, Jaipur, Lagos, Toronto, Lahore, Navi Mumbai, Ludhiana, Bangkok, Seoul, Petaling Jaya, Santiago, Manama, Abu Dhabi, Noida, Busan, Port-of-Spain, Ranchi, Mumbai, Colombo, Dallas, Singapore, Los Angeles, Perth, Dammam, Mexico City, Bengaluru.